More than five million people saw the major art installation Blood Swept Lands and Seas of Red at the Tower of London, marked one hundred years since the first full day of Britain’s involvement in the First World War. Created by artists Paul Cummins and Tom Piper, 888,246 ceramic poppies progressively filled the Tower’s famous moat between 17th July and 11th November 2014. 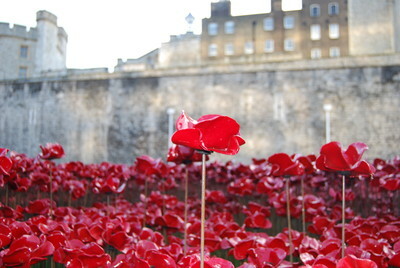 Each poppy represented a British military fatality during the war. The poppies encircled the iconic landmark, creating not only a spectacular display visible from all around the Tower but also a location for personal reflection. The scale of the installation was intended to reflect the magnitude of such an important centenary and create a powerful visual commemoration. The poppy come complete in its original packaging, with certificate of authenticity and a booklet about the installation. © 2019 Square Events. All Rights Reserved.